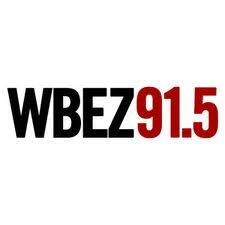 WBEZ (91.5) will run the story about the Private School and Tier admissions data again on Tuesday morning 3/13 some time between 9-10am. They’ll be taking phone calls, so feel free to express you opinions to an even bigger audience! Richard D. Kahlenberg is a senior fellow at The Century Foundation, where he writes about a variety of education issues. He has been called “the intellectual father of the economic integration movement” in K-12 schooling, and “arguably the nation’s chief proponent of class-based affirmative action in higher education admissions.”  He is also an authority on teachers’ unions, private school vouchers, charter schools, turnaround school efforts, and inequality in higher education. In addition, Kahlenberg is the editor of seven Century Foundation books: Affirmative Action for the Rich: Legacy Preferences in College Admissions (2010); Rewarding Strivers: Helping Low-Income Students Succeed in College (2010); Improving on No Child Left Behind: Getting Education Reform Back on Track (2008); America’s Untapped Resource: Low-Income Students in Higher Education (2004); Public School Choice vs. Private School Vouchers (2003); Divided We Fail: Coming Together Through Public School Choice. The Report of The Century Foundation Task Force on the Common School, Chaired by Lowell Weicker (Executive Director) (2002); and A Notion at Risk: Preserving Public Education as an Engine for Social Mobility (2000). I will be possibly joining the show if it occurs after 9:20 when my morning commute is over, but it should be an interesting segment. In other news, the South Loop RGC is meeting with CPS tonight to discuss the future of their program so hopefully we will get a report about that. Entry filed under: Uncategorized. Tags: cps tier system, wbez cps. I’m guessing Mr. Kahlenberg and I wouldn’t agree on much. Looking forward to the follow-up article and transcript to read when I’m not cyberloafing. I believe Mr. Kahlenberg suggested 50% rank, 50% tier. The CPS gods figured out that wouldn’t render the results they wanted and never even tried it, but went to 40% the first year, 30% the next and this year basically merged the previous tiers 3&4. Can’t wait to see what they come up with next year. Are they going to do away with ISAT in 2014? Yes, I believe the ISATS are going away, to be replaced with what sounds like a more useful test. I listened to the 848 broadcast. Kahlenberg said there are two extremes for deciding who gets in to SE schools. You can do the NY thing, where it’s highest scores only, but that leads to very low numbers of AA, Latino and low-income students, which is not ideal, The other extreme is to knock out test scores and just admit a set number or percentage of kids from each elementary. The question is whether all those kids would be up for the academic rigor of the programs. Then he said the big question is what is the right cut off. It was too bad that time limits didn’t allow the obvious follow up question to him about his opinion on what a more ideal hybrid system looks like, with what cut offs. I’m also glad that caller Kevin from Lincoln Park pointed out that it was very weird that the child from Brown with a score of 825 didn’t get admitted to any of the so-called top four last year. I had looked up the cut off scores and the tier map as well, and If the child lived in tier 1, they’d have their pick of any of the four, or in tier 2, it was enough last year for Young or Jones. It’s hard for me to believe that Brown, a neighborhood school on the west side in tier 2 and surrounded by tier 1 and tier 2 tracts and with a stated 99% low income enrollment, draws kids from a tract 3 or tract 4 area, but I guess stranger things have happened. It still sounded like an exception example to me, instead of the norm. Not my view but an interesting history lesson. HS Obsessed. Isn’t the formula based on test scores plus 7th grade grades and a bunch of other stuff? I was expecting Linda’s answer to explain the formula but she started talking about how the tiers don’t reflect indiviual situations or something unrelated to the 825 score. Yeah, the story was kinda’ one-sided. Linda Lutton seemed to present a scenario where low-income kids (at Brown Elementary in the case of the story) were passed over by kids who had the money for private school, or at least that was the scenario that seemed to be suggested. Then, when shown that a score of 825 (the score that was highest at Brown, but yet that student didn’t get in anywhere –huh? Wasn’t the point of the story that Brown was a “poor” school?) would get a kid from a Tier 1 neighborhood (or even Tier 2 into Jones and WY) into any of the SE HSs, with a clear socioeconomics-based advantage over kids from Tier 3 and 4 ‘hoods, she seemed to suggest that maybe Tier rankings were maybe not representative of individual kids’ actual socioeconomic status. If the Tier ranknings are flawed in some cases as she suggested b/c of gentrification, etc., why does she use also not suggest that some/many Tier 3 and 4 kids are not necessarily from “wealthy” families? She can’t have it both ways: suggest that SE HSs are too represented by kids from “money” families, then when somebody points out how much CPS compenates for lower-income kids in terms of making it much easier for them to get into a school like Northside, suggest the Tier System Admissions is flawed in some cases, when poorer kids get caught in a gentrifying neighborhood. How many “Tier 4” families can afford $18k+ for tuition? Maybe her calculation that kids from the “wealthiest” neighborhoods” are overrepresented at SE HSs is kinda’ ALSO a little more complicated that a simple generalisation. Many Tier 4 or Tier 3 kids are not from families with money, as we all know. Again, I’m sorry for another of my long, way-too wordy diatribes, but I’m sure I’m not alone, here. Anyone have a report from the South Loop RGC meeting? I got a report from another parent there. CPS made no promises, but did talk some about an RGC at the NTA. They said they’re talking about talking about it. Sounds like there were a lot of angry parents there. If you know any kindergarten parents at South Loop, I think we all have been e-mailed the report. You could have someone forward it to you. KLM, I love your posts even though we don’t necessarily agree all the time. My reaction – what!! !, tiers unrepresentative of low and high income families? We might do better posting all applicant names on a big dart board making low income tags bigger than wealthy tags. KLM, I’ve learned alot from your posts. They almost always give me food for thought. So ahead, be wordy. It’s hard to say anything substantial in a few sentences. I’ve been trying to examine my initial feelings when I found out about the high % of private school kids – 30% at Payton for example. I think it felt a little bit like finding out that there is this secret Tier 5 that we didn’t know about that all us CPS families have to compete with. We already know that the Tier 4 kids are scoring crazy high (and kids across all Tiers who are getting those rank spots) but now the private school kids emerge as some of the top contenders. So many of us put a lot of time into fostering the public schools (I have in the past, not so much now… as a disclaimer) so to see that we could potentially gain an edge by giving up on CPS and going to private school and getting into this “exclusive Tier 5” just shakes up the way I want to think about things. Makes me question things. Perhaps it’s the way a Tier 1 family feels looking at the scores of the Tier 4 kids and feeling like there is an advantage that is very difficult for them to attain. On the *bright* side, I find it very encouraging that private school parents (who some of us may think of as “snobs” about public school) are actually quite willing, eager in fact, to embrace CPS if a school shows strong results. @ 15 – yes, the Secret Tier 5. If CPS insists on categorizing my children by socioeconomic indicators, then at least make them accurate and meaningful. There are degrees of priviledged. My children are no way near as priviledged as the Secret Tier 5. This isn’t whining – this is statistical reality. Especially when $60K worth of premium high school education is being doled out. But I suppose fairness and accuracy take a back seat to creating diversity. Still, a measure of statistical integrity would improve the system. For the approx 70% of public school students admitted to SES, I’m curious to see a percent breakdown by Type of Elementary school that the students graduated from: (ie: Neighborhood, Magnet, Gifted, IB). And then see the same breakout for percentage of students from each type of school that applied to SES.